Finding answers to tomorrow’s questions today: By launching the Wilo-Stratos MAXO, the Dortmund-based manufacturer of pumps substantiates its aspiration to be the digital pioneer in the pump industry. The successor to the Wilo-Stratos sets new standards in connectivity, system efficiency and user-friendliness and once again demonstrates Wilo’s leadership in innovation. The new convincing design of the high-efficiency pump received the “Design Plus” seal of quality at the ISH in Frankfurt. The new Green Button Technology is the successor of the red button and combines the proven handling with new and optimised functions. Its high degree of connectivity makes the Wilo-Stratos MAXO an extremely flexible solution when it comes to integration into a wide range of applications. The latest communication interfaces (Bluetooth) enable it to be used in direct connection to mobile devices while “Wilo Net” offers a new standard interface for connectivity among Wilo products. 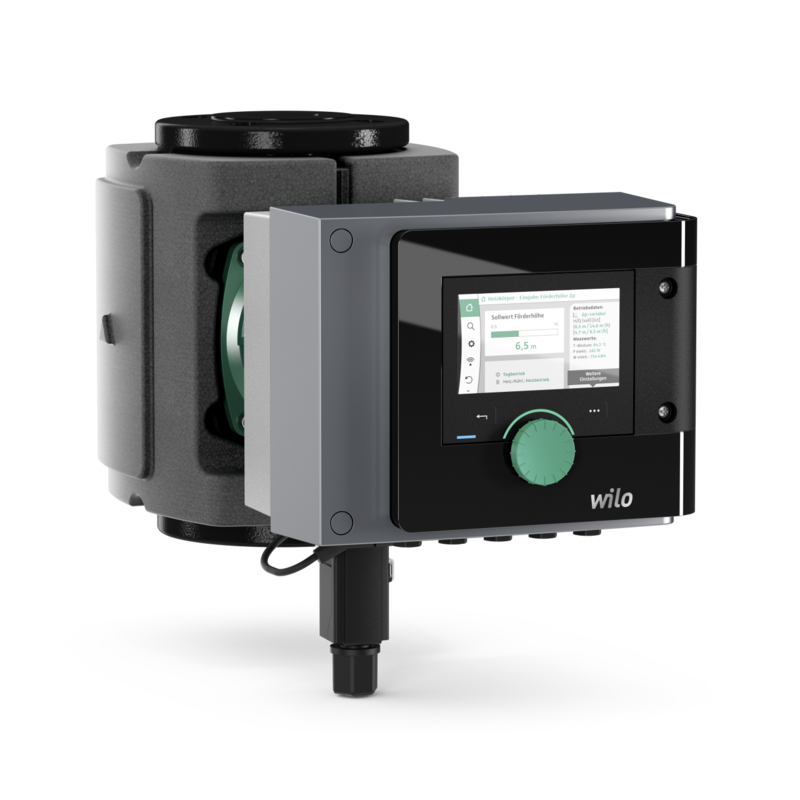 The new Wilo-Stratos MAXO for HVAC and drinking water applications in large buildings sets new energy efficiency standards – extensive studies and customer interviews at an early stage enabled Wilo to develop a pump which is tailor-made to customer requirements. for building services, water management and the industrial sector. Wilo sets new standards as a leader of innovation. We offer our customers tailored products with high system efficiency and maximum energy savings. Our aspiration: as individual as necessary and as efficient as possible. Using smart solutions that bring together people, products and services, the Wilo Group is on the path to becoming the digital pioneer in the sector. Around 7,600 employees support the company worldwide.